– Woofer and tweeter both exhibit high transient power handling capabilities to ensure proper punch and headroom in your mix. – Frequency response above 30kHz for improved imaging and harmonic response. – Low resonance point chambered tweeter ensures very little coloration within the used frequency band. – Coated textile dome tweeter gives a smooth, accurate representation of the sound without resonances or sharpness. – Drivers are hand made in UK and EU to our special tolerances that ensure minimal coloration and high transient responses. – Woofer has a symmetrical magnet field assembly as well as dual spiders to ensure high linear excursion tolerances. – Cabinets are custom made and assembled in the US to meet our design requirements and your custom look. – Six hundred watts total power to ensure transient response and plenty of headroom even when mixing at high levels. – Universal switching mode power supply complies with all US and European power standards (100 – 240V @50-60HZ). – Smart thermal and individual voltage driver protection that will keep drivers safe even in high SPL usage situations. 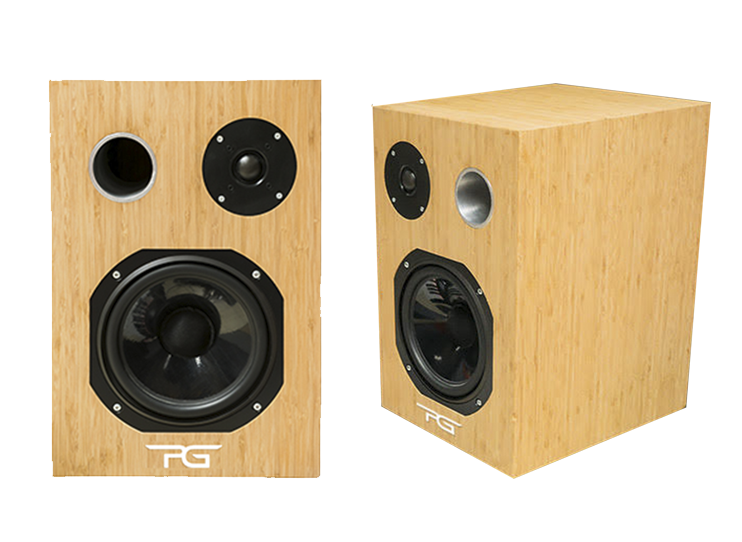 – Cabinet has bamboo construction options that are both environmentally friendly as well as sonically beneficial.